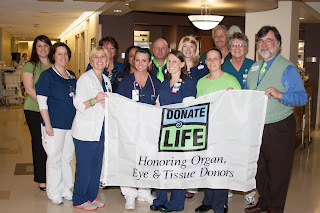 Meritus Medical Center takes organ donation seriously. It’s the only Maryland hospital to receive the National Organ Donation Medal of Honor from the U.S. Department of Health and Human Services six years in a row. 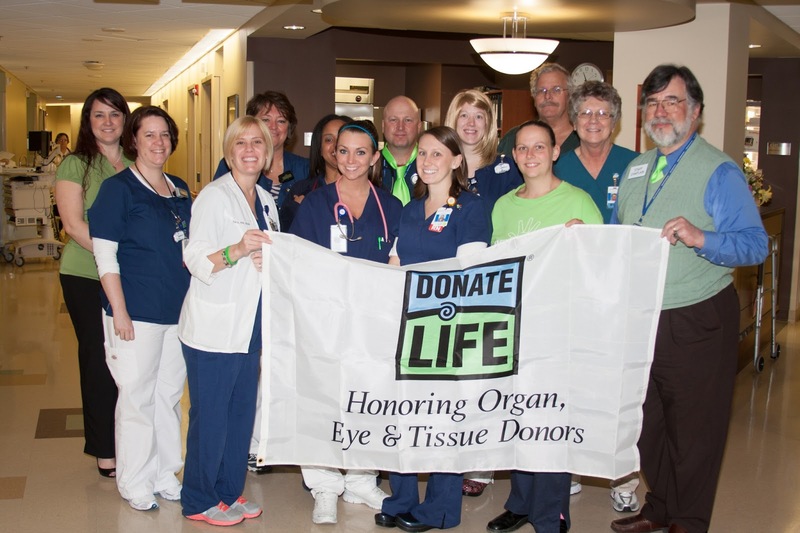 The award recognizes hospitals that achieve a 75-percent conversion rate of eligible patients donating organ and tissue. Meritus Medical Center works with the Living Legacy Foundation, a nonprofit organ procurement system, to encourage family members to donate the organs of their loved ones. Organ donation includes kidneys, heart, lungs and liver, in addition to tissue donation, which includes skin, bone, cardiovascular tissue and corneas. 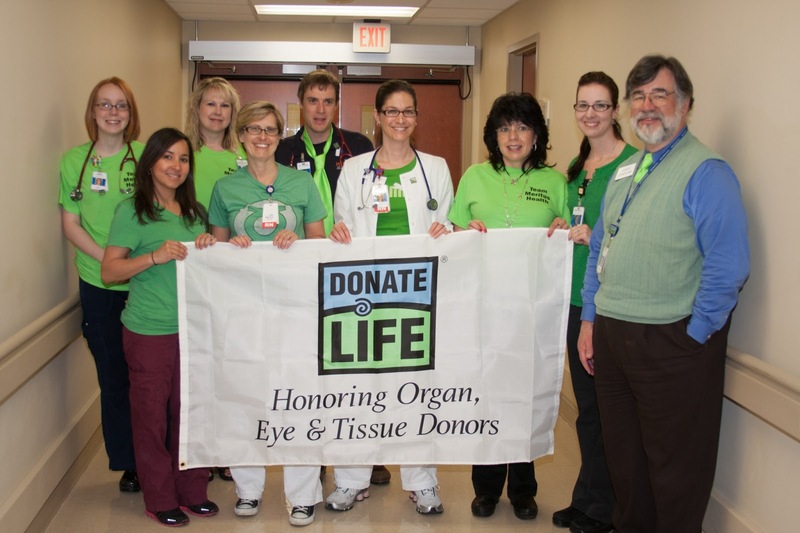 Jennifer Gelman, director of communications at Living Legacy, links Meritus Medical Center’s successful organ donation contribution to how the hospital educates the community and the way it treats organ donor families. Each time an organ consent is made, hospital staff raise a special flag outside of Meritus Medical Center. 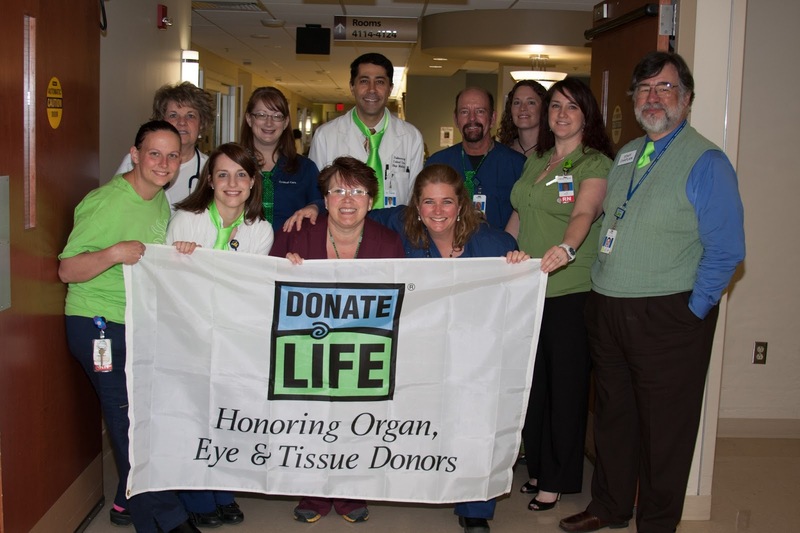 The hospital also participates in Flags Across Maryland, a campaign sponsored by Living Legacy and Donate Life Maryland to raise awareness of the 2,200 Marylanders who await an organ transplant—and to recognize those who have donated in the past. Cathy, along with team members from Meritus Medical Center’s critical care, emergency department, spiritual care services, and other departments collaborate with Living Legacy to identify possible donors. The hospital’s goal is to gain organ donation consent from those who will not live through a fatal accident or cardiac arrest. In each of those consents, seven organs and variety of tissue can be considered for donation. Often, patients decide on their own to be donors, registering their driver’s license through a donor registry, or on an advance directive or living will. If the patient is not a designated donor, a representative from Living Legacy discusses with the patient’s next of kin whether an organ can be considered for donation. “Organ donation can bring a positive light for the patient’s family despite the grave situation,” explains Tamara Yeager, RN, critical care clinical educator for Meritus Medical Center. Without a doubt, an end-of-life conversation is heart-wrenching, but according to Cathy, the discussion gets easier when the patient’s next of kin know they are carrying out the patient’s wishes. That’s why she encourages everyone to have a discussion about organ donation. 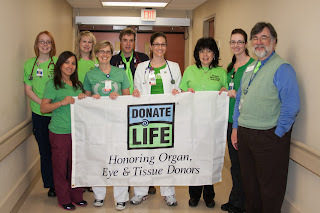 To learn more about organ donation, go to www.donatelifemaryland.org. By entering your Maryland driver’s license number, you can specify which organs and tissue you choose to donate. The website also lets you share your wishes with family and friends with a simple email.